Jonathan Louis manufactures fine living room and bedroom furniture in Gardena, Calfornia. They are known for creating excellent value with a strong fashion sense. Be sure to learn more about them here at Furniche. They work with fabrics and leather. They offer a free swatch service on their site. The staff at Furniche has know and worked with Jonathan Louis for many years. 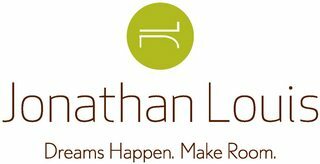 As retailers we sold Jonathan Louis living room and bedroom furniture across the USA. They have the unique ability to bring style and fashion together with efficient manufacturing processes. As a result, Jonathan Louis creates very affordable products that exude fashion and style. You will find their products in many fine retailers including department stores.